cj Sez: … Mark your calendars for some exciting Mystery Thriller Week events. ...Tomorrow, Feb 6, Lyrical Pens shines the spotlight on Mystery Thriller Week author E. Michael Helms, who is celebrating the launch of the latest novel in his popular Mac McClellan mystery series. ...I'll be doing a guest post about author/reader relationships at Mysterista's blog on Tuesday, Feb 7. https://mysteristas.wordpress.com . Stop by and let me know how you handle this important relationship. I'll be doing other guest posts later this spring...dates to be announced. ...Hours and hours of Facebook chats and giveaways are scheduled for Mystery Thriller Week starting February 12 through February 22. I’ll be live on MTW Facebook and giving away stuff, including The Posse ARCs, on . .
...I’ll be posting a few book reviews here on Lyrical Pens during MTW also. In celebration of February being the month of love and valentines, Crimson wanted to do something special. So, for the entire month of February, all 2012 and 2013 Crimson Romance titles will be on sale over at Amazon for just $1.99! Grab one now! 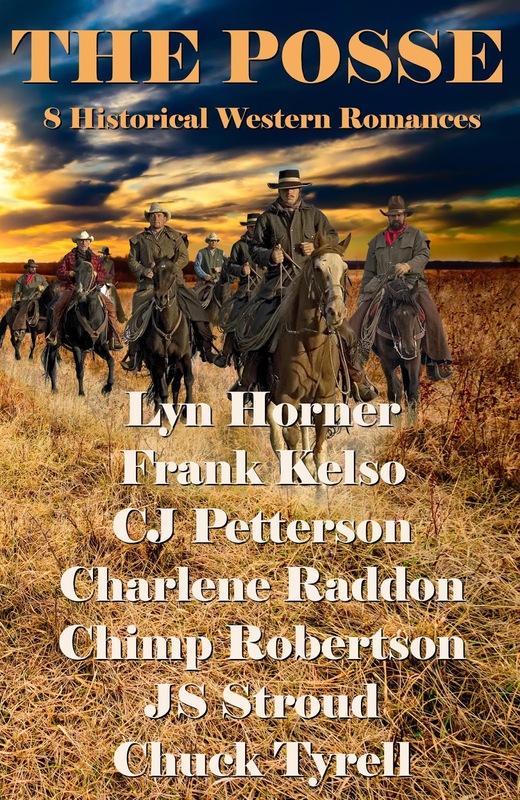 My short historical fiction short story, “Bad Day at Round Rock,” even has its own trailer. How neat is that? ...Monday, I’m leaving on a Carnival ship for a Gulf of Mexico cruise (a birthday present to me), but I’ll be back in time for all the Mystery Thriller Week fun and games. I hope to chat with you there. That’s all for today. You-all guys keep on keeping on, and I’ll try to do the same.